Again we are “cooking” an special graphics with Al Bayan graphics team. 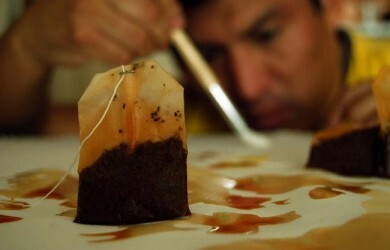 I’m enjoying each project with them, and now, we are using extra tea for it! 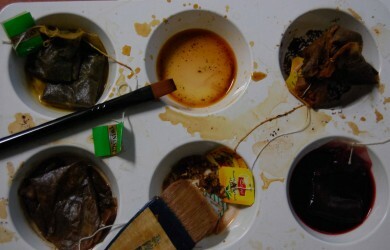 Different types of tea which gave us a wonderful scale of warm colors. You can do it at home. 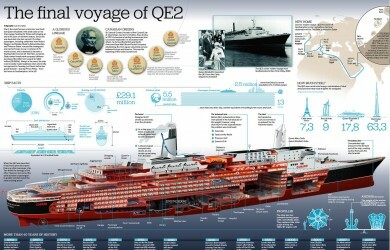 QE2 will be here in Dubai next 27th, we have prepared to welcome her a graphic that can be used as a reference for anyone who is interested to know about this emblematic ocean liner. Picture composition with vectors maps, 100% useful for all birdwatchers around the world. 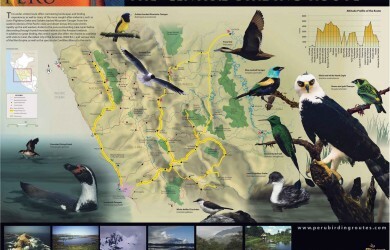 PERU-BIRDS, Touristic National Route Map Picture composition with vectors maps, 100% useful for all birdwatchers around the world. Do you remember the Arts faculty? 1. Classic pencil sketch 2. Watercolor with tea, to get a texture and computer colored. 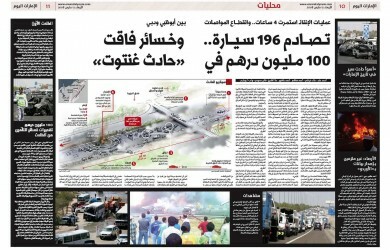 Al Bayan newspaper. Delicious project for Al Bayan newspaper, one of the most important paper for the arab readers in United Arab Emirates. Team job: 2 months. 36 pieces. 1. Visual conception for the arabic readers: right to left. 2. Arabic text and graphic edited according of the Emarat Al Youm’s infographic style book. 3. On the page, with all the layout elements.